We are making an effort to eat more whole food, plant based foods i.e., nuts, legumes, grains, fruits, and veggies, and I have to say we are loving it. After all we’ve been told “Eat food that rots, just eat it before it does” – Dr. Forrest Shaklee. I have also been reading the Blue Zone book by Dan Buettner and learning about the longest lived people in the world, who eat meat more like a garnish or accompaniment to the main meal. A pretty crazy concept for most Americans. The more we learn the harder it is to deny the benefits of good, real, unprocessed, fresh food. There are so many ways to cook foods, especially vegetables, that no one should be able to say “I don’t like veggies”. Even if you don’t you should keep trying them, over time your taste buds adapt and your body knows you’re giving it good stuff and starts letting you know it needs more – you crave good food! You will also find that sometimes you don’t feel so great after a greasy, processed meal. This is again, your body letting you know it really likes the healthy stuff. Some simple ways to add veggies to your day: smoothies, add them into sauces, puree them, roast, bake, grilled…. MMMmmMMM. To learn more about Whole Food, Plant Based eating visit Eating you Alive or Forks over Knives. Another way to learn about Whole Food, Plant Based eating is through the book VB6 and the VB6 Cookbook by Mark Bittman He discusses being Vegan, kind of, Mark Bittman is Vegan before 6pm and then eats whatever he would like, within reason after 6pm. The change has still made a huge impact in his health and has become a lifestyle. I like the concept. During the day you get your full share of fruits, vegetables, grains etc. without all of the saturated fats, processed food and bad stuff. If you choose wisely that is. If you want to make a change, but don’t think you can go whole hog, eh hem…whole cauliflower, then VB6 might be a good fit for you. 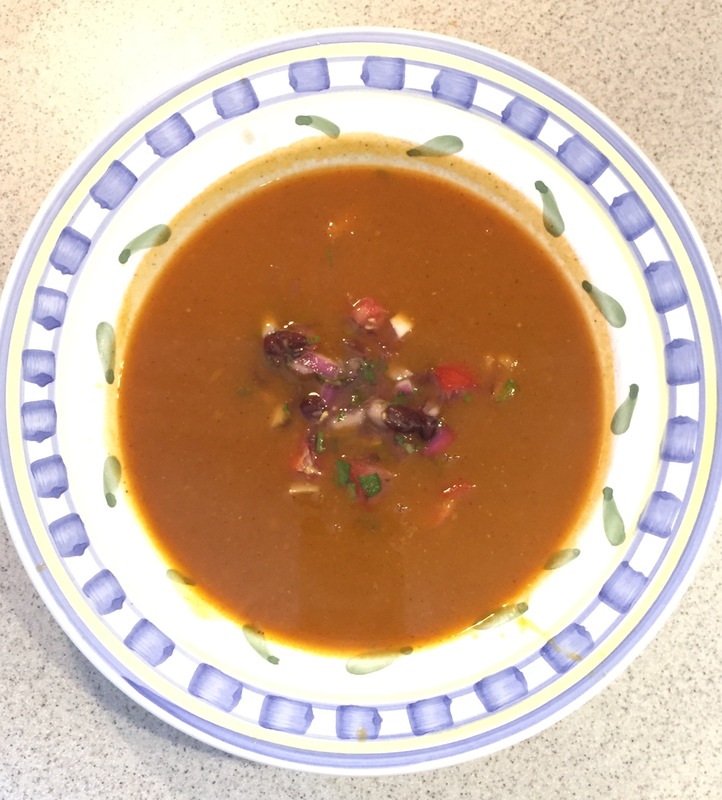 This review is of his butternut (or pumpkin) soup, a great Meatless Monday meal. I wasn’t sure how well this would turn out at first, just being honest. Every butternut squash soup I’ve ever made had coconut milk or milk in it. I was afraid it would be to thin and watery, but I was wrong! My other hesitation was how was my husband going to handle this vegan dinner? Before I had a chance to ask him what he thought I heard those lovely yummy noises we all love to hear when we cook for someone! Success. The soup was easy to make and very good. I have a submersion blender, which I highly recommend, but you can use a blender to puree it too. It is creamy from being blended, but is not going to have the exact same consistency as a milk based soup, but I don’t think you’ll miss it. The salsa is tasty and went very well with the soup. We ate it in our soup as well as with flax chips and I was tempted to top it with sour cream, but didn’t. This recipe took about an hour, but if you used canned pumpkin or pre-cooked butternut squash you could do it in 30. Lisa received her Health Coach Certification from the Dr. Sears Wellness Institute, founded by world-renowned physician and author, Dr. William Sears. The Institute is a leader in science-based health and wellness education that focuses on the four pillars of health; Lifestyle, Exercise, Attitude and Nutrition (L.E.A.N.). 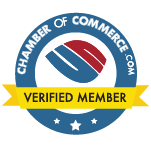 A certification by the Dr. Sears Wellness Institute is obtained only after completing the extensive course work and meeting all requirements. Once certified, a Health Coach possesses the knowledge, tools and resources to make a positive difference in the health of others. The information in this blog is educational and not meant to diagnose, treat, or mitigate symptoms. I offer individual coaching sessions and virtual health coach sessions through Zoom, if you are not local, as well as group sessions, workshops, and special events. I would love to help you on your journey towards health and wellness. Contact me for more information. My husband and I are also Independent Shaklee Distributors to learn more visit http://lisaburbach.myshaklee.com – one of the leading providers of premium-quality, natural, nutrition, personal care, and household products. Don’t forget to take you Healthprint when you visit. All photos are by me, Lisa Wright Burbach – Feel free to share, but please give credit to the source. Thank you. Shakshuka or Shakshouka is a Middle Eastern dish typical cooked with pouched eggs. The word simply means “mixture” and is typically cooked with tomatoes, spices like cumin and coriander, chilies, and onions, but ingredients vary from country to country. It is often served for breakfast, but is popular any time of the day and especially in winter. 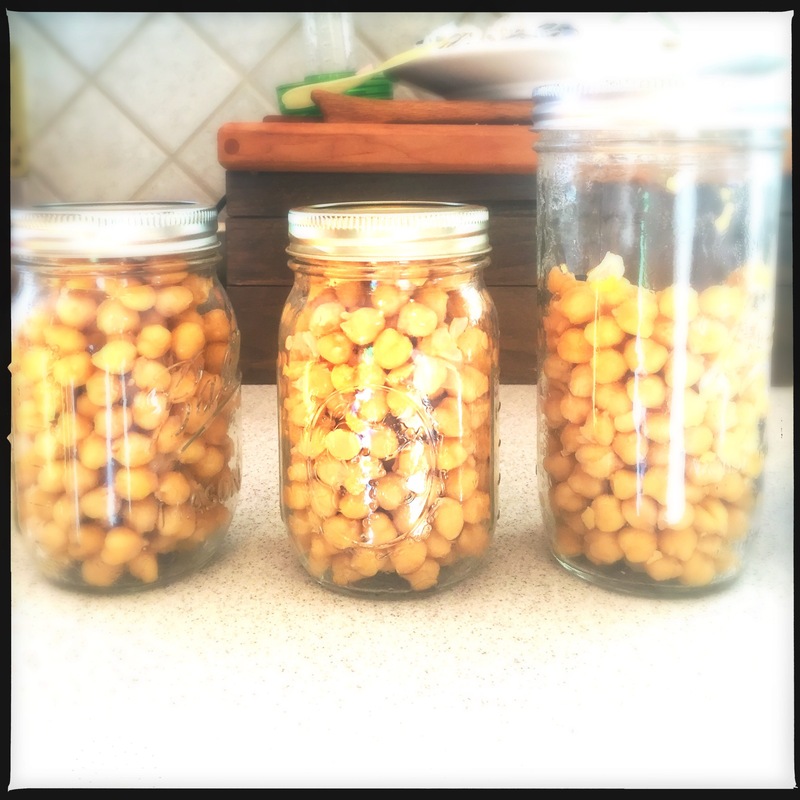 Cooked, dried chickpeas – Try cooking your own beans in place of canned beans. It is cheaper and greatly reduces your sodium intake. If you are riding the Instant Pot wave or you use a pressure cooker you can make these without soaking! WHAT, yes… NO SOAKING!!! Soaking is the part I always forget and used to keep me from using dried beans. Don’t fear the Instant Pot or pressure cooker, it will quickly become your friend. Russ Parsons The California Cook! I made my Shakshuka a liiitttlle hot and had to top it with yogurt because, well…basically I’m a wimp when it comes to hot foods! If you too need to cool it down try making your own yogurt. It is very easy and only takes a little “active” time. I follow Martha Stewarts guide. You can make yogurt with some yogurt and milk or with yogurt starter and milk. Personally I find a little individual size yogurt pot works well as a starter and my yogurt is more consistent, the only down side is the yogurt bacteria won’t hold up to use my homemade yogurt as the starter for a second batch. A friend of mine laughed at my yogurt maker and thermometer and said “All you need is an oven and your finger. When the milk boils pull it off, when you can put your finger in it for a few seconds comfortably add your yogurt- done!!”. She is right, as you get more comfortable with making yogurt you will find your own way and be able to do it without thinking about it. Ease: Easy! 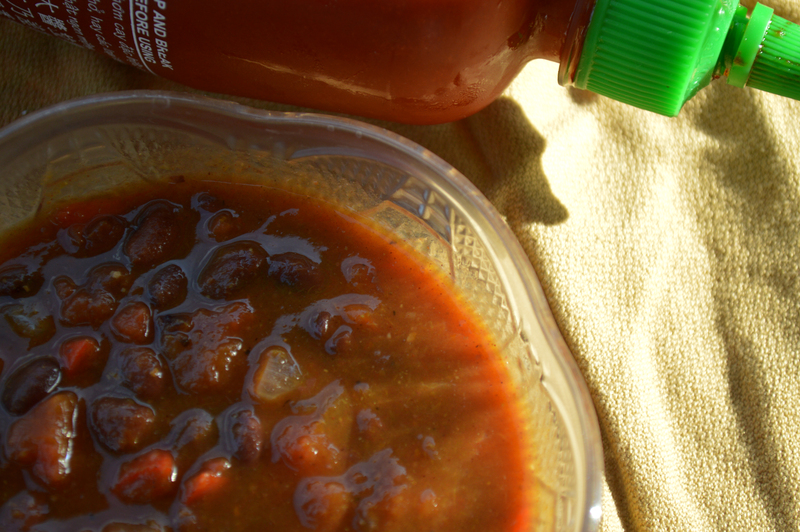 Even if you cook your own beans and make your own yogurt, this is an easy dish to make. 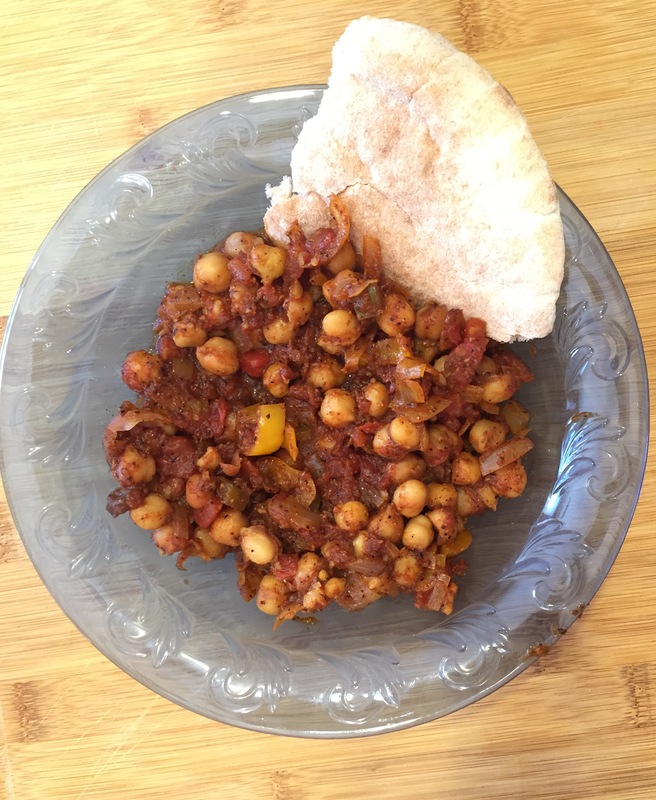 Review: I can’t take credit for finding this amazing vegan dish, my daughter found it and is a major fan of Dana and John of The Minimalist Baker. Thanks for this recipe!! My husband and are neither vegans nor vegetarians, but I guess we are reducetarians, we are eating much less meat and far more whole food, plant based foods. No matter what your food choices, this is a nice dish to add to your home cookbook and would make a great “Meatless Monday”. It is protein packed and a good source of fiber with iron, B-6, magnesium, potassium, A and C thrown in! This is easily a dish you can throw together after work or make ahead and take for lunch and you can customize the spices to your own taste. I used tomatoes with jalapeños in mine which is great for my husband, but was a bit too hot for me, hence the yogurt. Even too hot, I really enjoyed the flavors of this dish. This will be a repeat dish! Nice job Dana and John! Browning tomato paste – I like to brown my tomato paste before adding my wet ingredients, I find it adds a nice rich flavor and only takes a few minutes longer. Learn more at Today. Try adding the eggs: Once your dish is complete carefully crack eggs into your oven safe pan on top of your tomatoes and chickpeas, season with a little salt and pepper and pop into the oven for about 7 minutes or until the eggs are just set, don’t overcook. I offer individual coaching sessions and online health coach sessions through Zoom, if you are not local, as well as group sessions, workshops, and special events. I would love to help you on your journey towards health and wellness. Contact me for more information. My husband and I are on the journey of eating a more whole food, plant based diet and I have to say we are enjoying it! There were doubts in the beginning, but we made gradual changes, which I highly recommend. Most people are not ready to jump in all at once into a big change, but gradual changes can often help us stay the course. Try starting with Meatless Mondays! I am finding that it is easier to eat healthy foods than to find healthy foods. The stores are filled with items with suspect ingredients, restaurants have sparse healthy choices at best and it can even be hard to find recipes that are easy and “normal”. Many of the recipes I have found are pretty exotic, but with a shift in our culture towards eating more fruits, vegetables, whole grains, and legumes I expect the options to improve. Today’s recipe review is a winner and even my meat loving man really enjoyed it! Respecting Copyright laws, I don’t publish full exact recipes unless I can find an online link or have permission from the source, so I have provided the pieces of information for you to pull the recipe together. 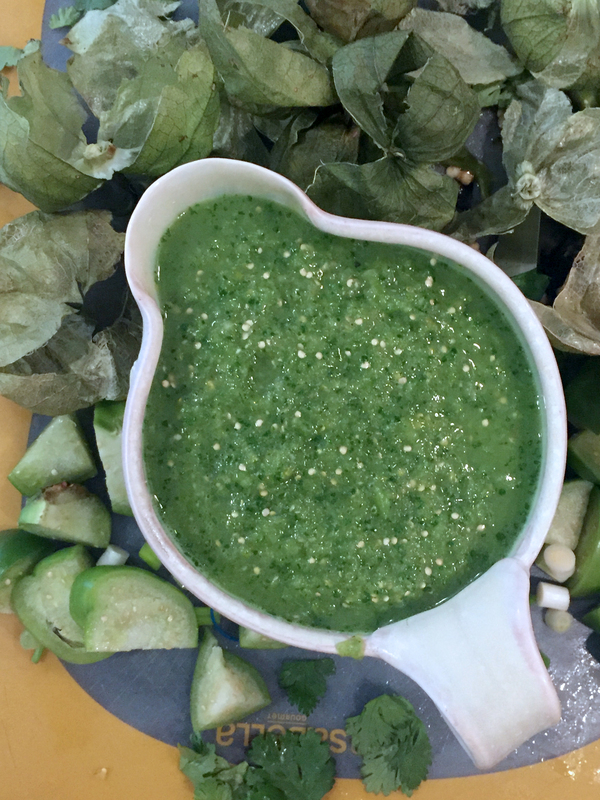 Salsa Verde – The recipe can be fond in the Forks Over Knives Cookbook. I have provided a link to a similar salsa below. Top with lettuce, red onion or anything you see fit to use. We also used radishes and mix of shredded cabbage with red onion, cilantro and lime juice. It provided a nice zing and texture. Tomatillo Salsa – Food and Wine. This recipe is similar to the one by Forks Over Knives. Try adding lime zest and using green onions in place of onion. Have fun with this recipes and play with the ingredients. 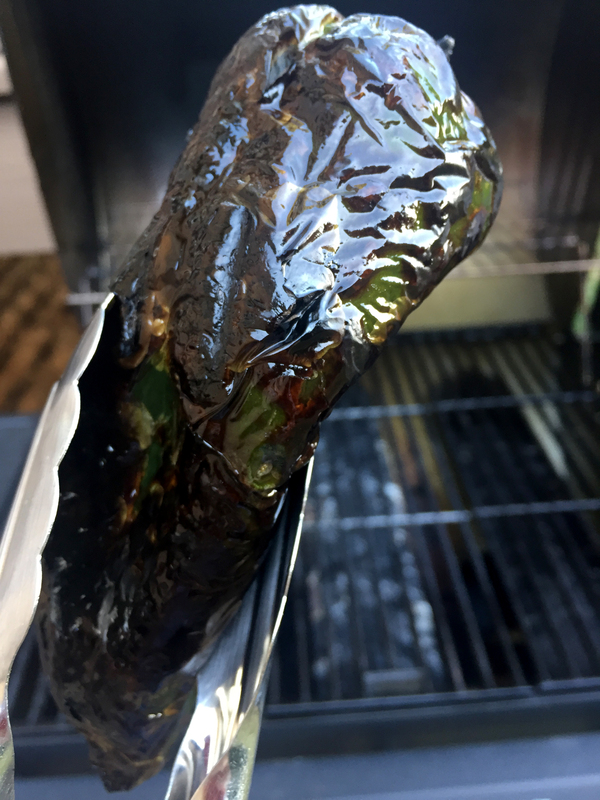 Ease: Easy-moderate – This is really an easy recipe, but if you are unfamiliar with portobello mushrooms or tomatillos it could feel challenging. Just relax, follow the directions, and enjoy. Review: As much as we are trying to reduce our meat consumption, my men folk aren’t quite on board for extreme reductions. This week my husband and son were going to be away from home and I planned this awesome dish for myself, but then the hubs came home. I gently informed him that I wasn’t changing the plan and he would like it. He loved it! The mushrooms made this feel like a more hearty dish and once we added all the other yummy stuff – don’t forget the salsa! !, the tacos felt like we had stepped into a restaurant for dinner. Did I mention the salsa? It is a must, it really rounds out the dish. 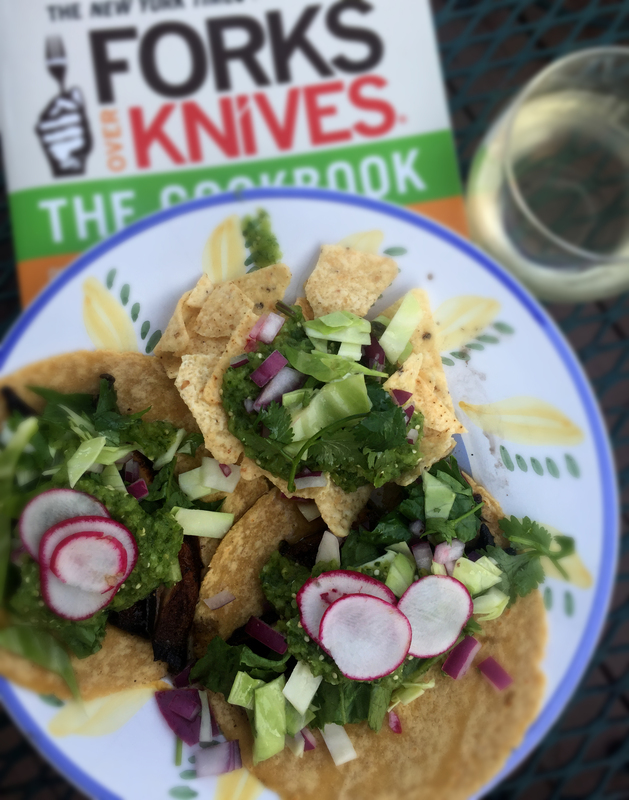 The recipe calls for the salsa, lettuce and red onion to top the tacos, but we found adding the cabbage and radishes gave this dish more texture and flavor. I highly recommend this dish, it is delicious, easy, healthy, and WHPB (whole food, plant based). Be adventurous and let your meat eaters try it. Tips: It is important to have good tools in your kitchen and two handy tools are a zester and good juicer. My juicer (known as a fruiter in our home) was my grandmothers and the difference is significant. Older tools like graters and juicers used thicker metal and real metal. I find my older tools at estate sales. My family recently joined The Produce Box , a NC company who deliver boxes of fresh produce directly to your door. My plan was to help our family to eat more fruits and vegetables. It has worked! Each week we receive a box of local, fresh produce and I add it into our weekly meals. It means a little creativity, but well worth it. What ways do you make an effort to add in more healthy food? I’d love to hear form you! Just leave a comment in the comment box. Review: This is a nice hearty soup, the kind that makes you feel like curling up with a blanket. Thanks to our Produce Box we had plenty of fresh corn. It has potatoes as well and is a nice soup to add to your winter menus. I recommend it! I think you will find it easy to make as well. Cook the chicken breasts in 1/2 of a can of enchilada sauce either in the oven or microwave. Once done chop chicken into fine pieces. I use the Salad Choppers from Pampered Chef and just chop away at my chicken. (One of my favorite tools.) Saute onion and green peppers until the onions are translucent and add to the chopped chicken. 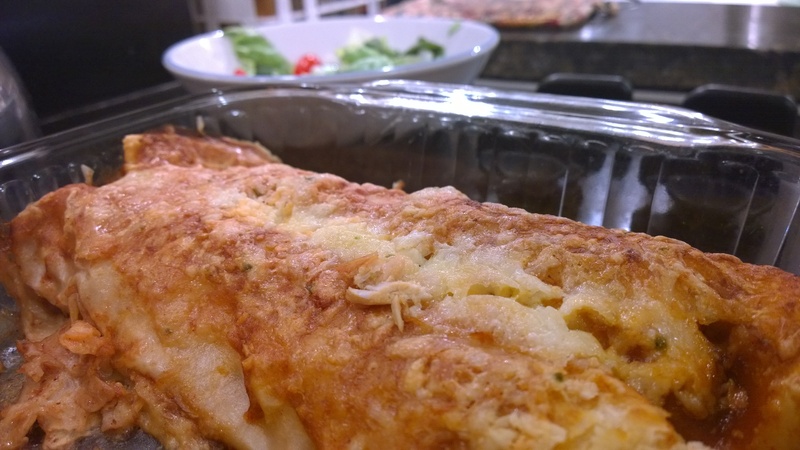 Using a slotted spoon fill a large tortilla with chicken mixture and top with cheese and then roll up and place in a large casserole dish. You don’t need to bother tucking the ends in. I was able to use 5 large flour tortillas and serve 4 people. Once assembled pour the rest of the enchilada sauce over the tortillas making sure to cover the ends, this will help it not burn. 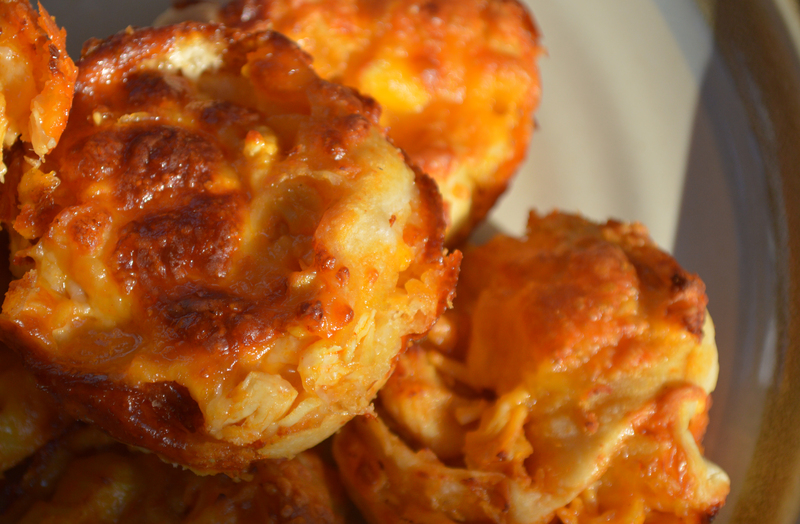 Top with cheese and bake 30 minutes or until cheese is bubbly and starting to darken. This is an easy meal and filling. Broccoli bacon Quiche. I like to use Jamie Oliver’s quiche as a base and just change the ingredients to suite me. We have used apples in oatmeal, with peanut butter and tomorrow we are having fried apples and pork chops! mmmm and we will have the green beans. This just leaves the Acorn squash which we will have this weekend. It just takes a little thought, but is getting easier to use all of our produce. Look for a program in your area, we have found it to be economical and we are definitely eating more fruits and veggies! You can’t beat that. Enjoy! Summer is almost over and for Bringing Back Dinner and many of you this means a return to routine. It has been fun, but I kind of like the predictability of September – May. Starting in September we will get back to regular blog posts and start planning those hearty, warm meals of fall. I’d love to hear from some of you, what is your favorite fall dish? What is that dish that signifies the start of cool weather? Send me the recipe and a link to share and I will be glad to review it. Post to the comments section below. This week’s pictures are taken using Oggl an app available for Iphone and Windows phones with customizable filters. Review: This recipes would be great football food! 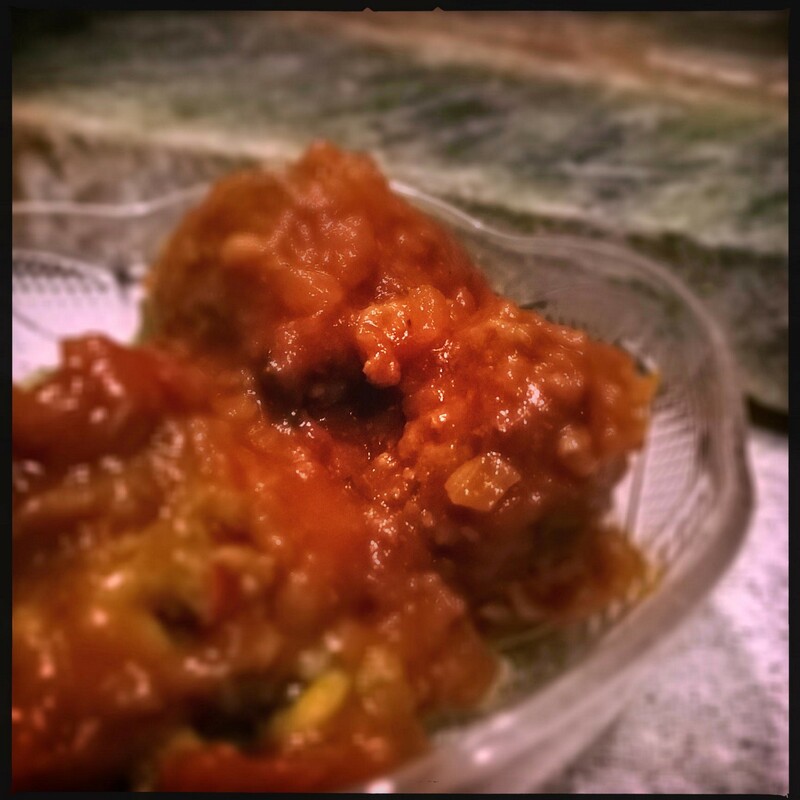 It is sort of a sweet and sour meets Indian. You can buy frozen meatballs for this, but I made my own. I used ground beef and added curry, zaatar seasoning, an egg and some breadcrumbs. rolled into small meatballs and baked at 350 degrees for about 30 minutes. For the rest of the recipe click the title link. My family liked this and I served it with rice. It is nice to try different flavors sometimes and it doesn’t have to be hard. Ease: Simple to Moderate based on whether or not you make your own crust. I don’t. Review: This was my Meatless Monday dish. I use the raw pizza dough already prepared from my grocery. Lowes and Harris Teeter sell them in the bakery section. 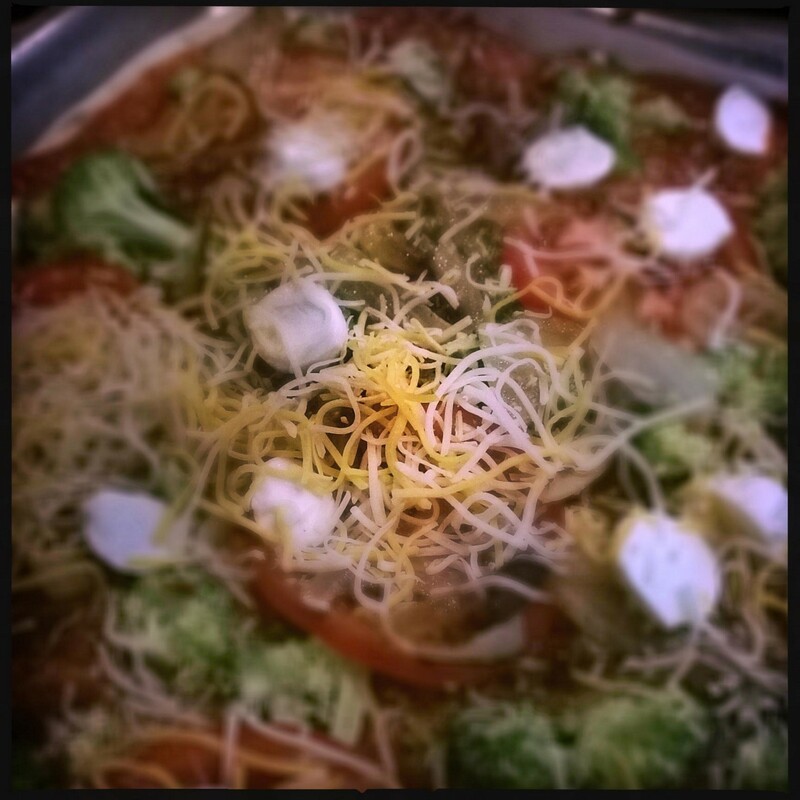 Spread and even layer of prepared spaghetti sauce over the crust, top with chopped broccoli, slices of tomato, fresh mozzarella cut into slices, and caramelized onions; use at least 1 whole onion. Then top with cheese. To caramelize the onion follow the link here. It really adds extra flavor. I was doing great until this point, and then well there was this bacon ya see. I mean…it’s bacon! Soooo, I crumbled bacon all over the top of the pizza. To be honest, I blew Meatless Monday. However, It was a perfectly yummy veggi pizza before I defiled (blessed) it with bacon. While I feel certain it will make a wonderful Meatless Monday dish for you, I felt I must come clean and tell you about the bacon. Feel free to transgress. Review: I love pasties and I’m always trying to find a yummy recipe that tastes like the pasties at the pasty stand in Windsor UK. This is good, but not quite it. We enjoyed these and I will probably make them again, but in the end we felt they could have had a little more flavor to them. That said it was a very nice comfort food flavor, I mean really it is hard to go terribly wrong with potato, cheese and onion. Do not be dissuaded and give it a try. I hope you have had a great summer and thank you for your patience with the summertime inconsistencies of Bringing Back Dinner. I hope to be back to normal by September as we stop traveling and settle into a glorious fall! Trader Joe’s was such a hit last week that I decided to make this Week’s Meatless Monday Dish from one of their recipes. I hope you like it. Summer has been a kind of crazy time for us full of travels, friends, and fun! I can’t believe it is almost over and then life will settle back into a lovely routine. Maybe. 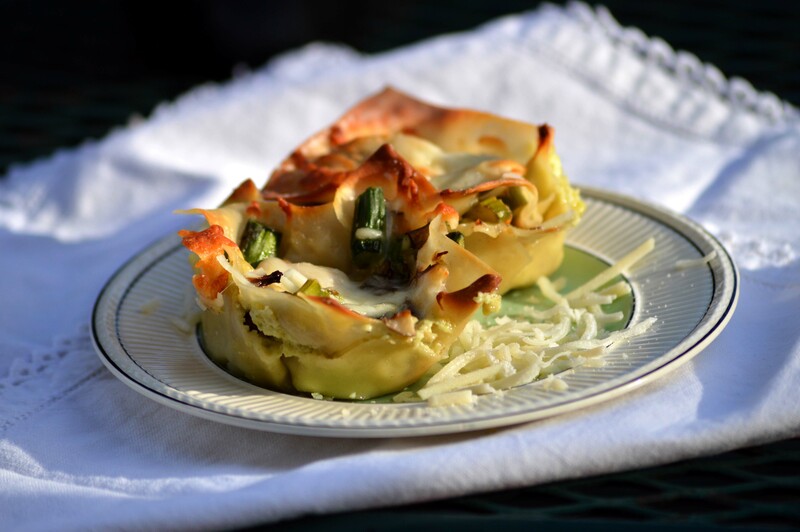 Summertime is the perfect time for easy meals, because if you’re like me you just want to get back outside! So start up the grill and let’s bring dinner outside! Review: While this is called curry, it is not curry in the sense we are used to having. It is not flavored with curry spice, but with smoked paprika. I rated this dish simple to moderate simply because it has ingredients that can be a little unfamiliar as well as flavors that are a little outside the norm. That said, I really enjoyed this dish even though I was prepared not to. Not everyone in the house liked it, but over all it worked. Vegetarians will like this, but meat lovers may have a little more trouble. Review: Yuuumm. My son first made this when he was about 9 years old. At the time he was a huge fan of Emeril and ran around the house saying “BAM” to everything. The recipe sounds interesting, but give it a chance, it is really good. You can make these big, but the recommendation is to make them small and use slider buns or rolls. We added caramelized onions and BBQ Sauce just for fun! Za’atar spice is a combination of spice from the middle east often with sesame seeds, and dried sumac. I especially love this spice on hummus and experimented with it on fish. mmmm. 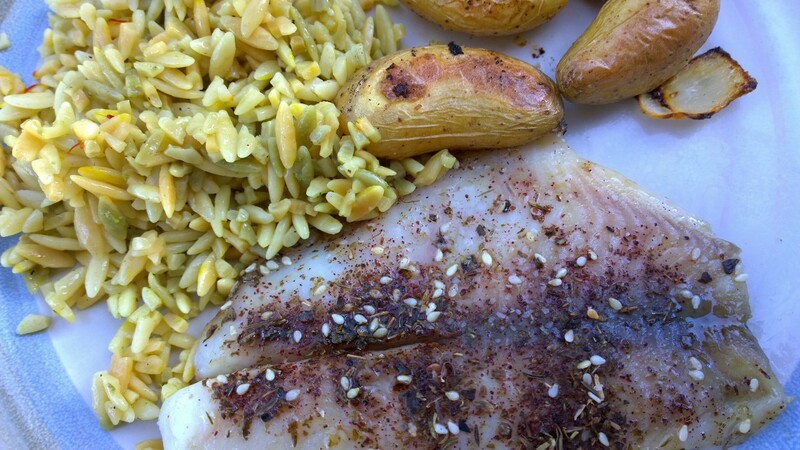 Review: I used frozen Tilapia fillets and allowed them to slowly thaw. About 20 minitues before cooking I rubbed olive oil and salt on the fillets and then rubbed in the Za’atar spice. If your Za’atar has salt you may want to skip the added salt. Preheat oven to 350 and then cook the fish 8-10 minutes or until flaky. That’s it! Serve with a salad to make it extra easy or play around with exotic sides. Remember that just because it is summertime it doesn’t mean we have to stop having fun when cooking. Play with your food! This week I decided to make my meals from the recipes found on the Trader Joe’s website. It was easy and yummy you just get the recipe and walk down the aisles and pick up the stuff. I’m sold! I hope you enjoy these meals and don’t forget! Try to have at least one meal with everyone gathered together. Try eating outside or on a blanket in the living room. Just do something together with friends or family and enjoy! Review: This dish was great. I made it when our son and his wife came over and he turned to his wife and said “hey, babe, make this” I’d call that success. It makes a great company dish with little work too. My daughter-in-law thinks she may try it with squash, yummm. Ease: well, it kind of isn’t fair to say. The meat comes in it’s sauce, so easy! Review: This dish can’t get any easier and is so good. It costs a little more because the meat comes in a package marinated in the sauce. Cut it open and grill then put on the salad. We all really enjoyed this and the Cilantro Dressing makes the dish. Summertime is full of vacations, staycations, running around and general busyness and can feel like we lose touch with each other, but with all of the parties, BBQs, picnics, pool parties etc. It provides us with so many different ways to connect. So while summer is different from the rest of the year I encourage you to take advantage of the chance to connect, reconnect and just hang out with one another and build relationships as well as memories, so while this is a busy time remember you are still “Bringing Back Dinner”; food is the tool that gathers us. Have fun and laugh a lot! Review: I really do like Pampered Chef recipes, they are easy and always look like you worked much harder than y ou did. This recipe is no different. It was a quick and easy but still tasty meal. We made an exchange though; spinach for broccoli. You could use either vegetable or add something new. This dish would be easy to play around with. Review: This dish sounds weird, I’ll just say it, but it is really very good! My family loved it and one of them even tweeted about it “Let’s just make a deal to put pumpkin in everything. It makes food ten times better.” You can’t get a much better review! We were divided on one aspect of this dish – heat. That is why they make Sriracha sauce. Just serve hot sauce on the side for those who want a little heat. Otherwise a perfect meal. We often think of the slow cooker as a winter cooking device, but it is a great for the summer. It doesn’t heat up the kitchen and frees you up to run around town all day and not worry about dinner. Pull out your crockpot and have a great day at the pool! Dinner will be waiting for you. Share your favorite Summertime meal with us by posting to our facebook page or twitter or instagram using #bringingbackdinner. We will post your comments here! This week we had several dishes with leftovers that were less exciting, but I think you will enjoy the two meals below. I’ve made this dish before, but had a friend who was interested in it, so here you go! Review: this is really a great dish. It is a nice dish for your family and would make a great dish for company. You could try using different ingredients and use the same method to have a little fun with this! 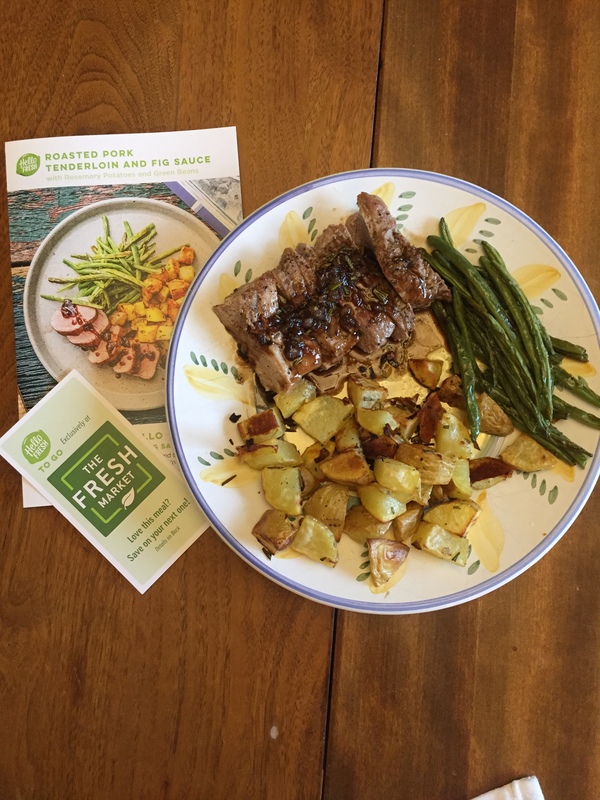 Review: Pampered Chef recipes are simple, tasty and always look like you worked harder than you did. They are not the healthiest, but good. My family like this, over all. My husband loved it and the kids thought it needed a little less cream cheese. I have to agree. I think the amount of cream cheese depends on what you like, so just adjust for your family. When I make this again I will probably put half the amount of cream cheese on half of the pizza and the normal amount on the rest. Keep everybody happy! This week we also turned leftover steak into fajitas. I know, it sounds like a crime. Otherwise there was not enough to share. I also freeze any leftover spaghetti sauce and pulled some out for dinner this week. Try making your leftovers into something else, but shhhhh don’t tell them, they will never know it. Have a great week and I’ll see you in 2 weeks when I return from vacation. 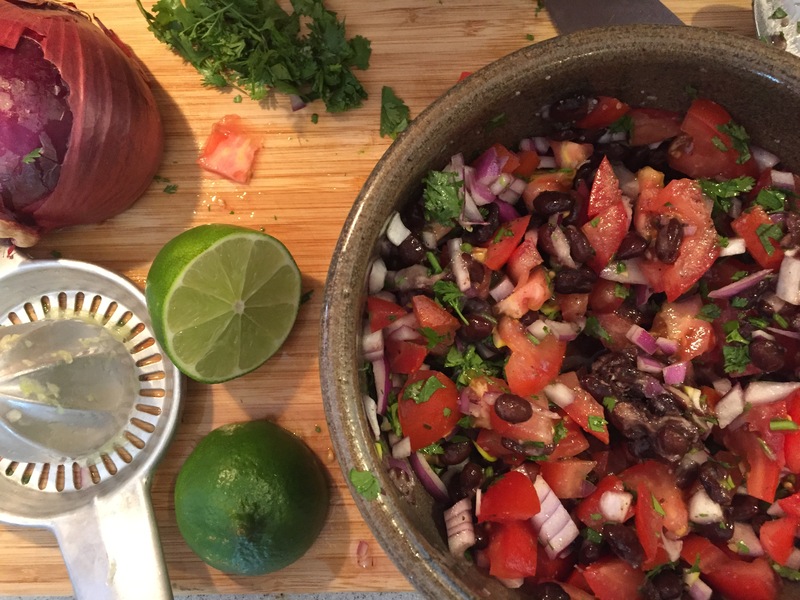 Meatless Monday – Mexican Salad with Black Beans and Corn née Grilled Mexican Steak Salad. 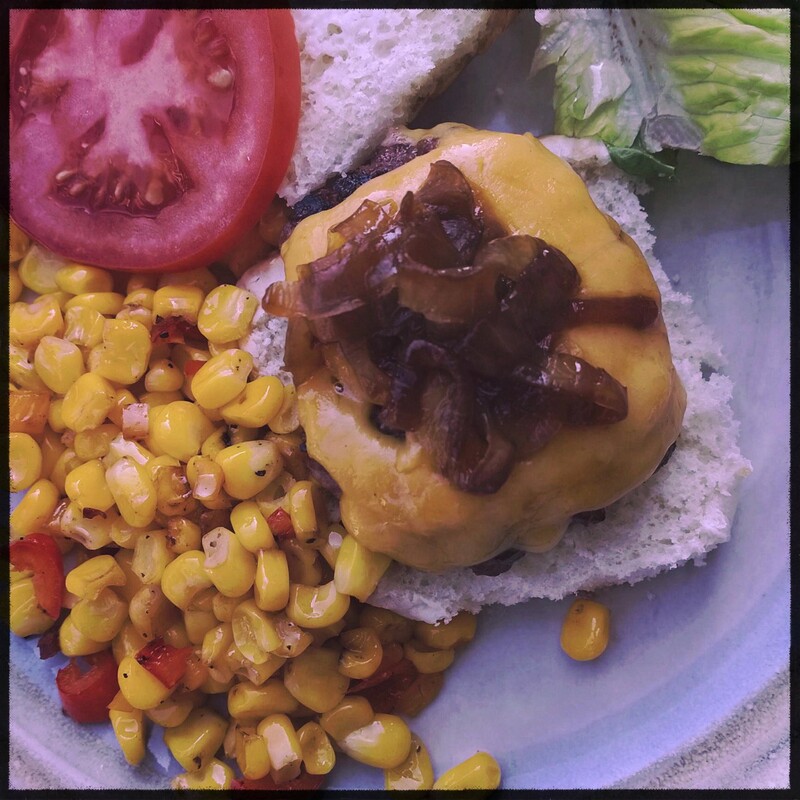 This recipe is originally written to include grilled steak, which would be great, however we are trying to be diligent with our Meatless Monday quest and omitted the meat and added grilled corn. The result was great and we would do this salad again! Review: The recipe is a nice one with great flavor and I feel it works well with or without the meat. Follow the directions for this recipe omitting the directions for the meat. Instead of steak try grilling corn or pan roasting the corn until it brown slightly and the cool. The dressing is wonderful and I can think of a lot of uses for it outside of this salad. Over all, this is a nice salad and a great new dressing recipe that I think you will enjoy. Review: Win! This would be great football game food! It was a great meal and could be served with celery and carrots or macaroni and cheese. The way it is prepared tones down the heat for those afraid of wing sauce, in case you were worried and we really loved this. It was good cold the next day. I know, I know but really any chicken is good cold for breakfast, that is if you don’t have cold pizza. OK. so much for healthy. We did eat well the rest of the week. It was our indulgence. What is your indulgence, guilty food pleasure? Send it to Facebook or Twitter using #bringingbackdinner or add it to our comment section. Maybe we will review it!